The race for one spot for a middle-order batsman or a back-up opener is still on. The deadline to submit the final list of the squad members for the ICC World Cup starting in May is just a few months away now. 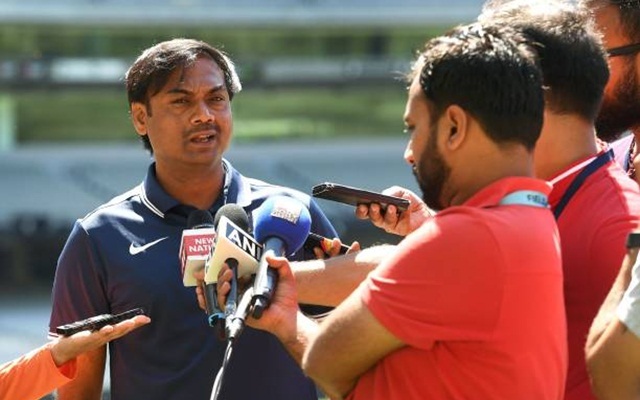 India’s chief selector MSK Prasad has said that though his team has almost finalised the names that will represent India at the mega event, ‘one odd’ position is yet to be decided. India’s campaign in the WC kicks off on June 5 when they take on South Africa in Southampton. India’s top three in Rohit Sharma, Shikhar Dhawan and captain Virat Kohli are settled, so does the bowling line-up. There was a dilemma over the third pacer but Mohammed Shami’s recent performance seems to have settled the debate. Shami ended up as the Man of the Series in the recent ODIs against New Zealand. In the spin-bowling department, Yuzvendra Chahal and Kuldeep Yadav look set to catch the flight to England as are all-rounder Kedar Jadhav, batsman Ambati Rayudu and wicket-keeper-batsman Dinesh Karthik. Karthik, though is playing international cricket since 2004, this is the first time that he looks a certainty in a World Cup squad. MS Dhoni also is a certainty in the squad. However, the race for one spot for a middle-order batsman or a back-up opener is still on and according to the chief selector, all-rounder Vijay Shankar, wicket-keeper-batsman Rishabh Pant and batsman Ajinkya Rahane, who is not a regular in the ODIs, are in the contention for a lone berth in the squad. “Undoubtedly he (Pant) is in contention. A healthy headache. The progression of Rishabh in the last one year is phenomenal across the formats. What we actually felt is he needs a bit of maturity now, gain more experience. That is the reason we have included him in India A series wherever possible,” Prasad was quoted as saying by ESPNCricinfo. Pant, 21, has been in and out of the side especially in the limited-over variants despite showing a steady rise in the longer format since the England tour last year. He slammed a magnificent 159 not out against Australia in a Test in Sydney and then played for India again in the just concluded T20I series against New Zealand, missing two ODI series in between where he was replaced by Dhoni. Shankar is another player who has caught all eyes with his all-round abilities in whatever limited opportunity he has got. He scored 43 off 28 balls in the final T20I against the Black Caps in Hamilton on Sunday. Prasad said the 27-year-old will be the fourth all-rounder in the pool of 20 players the selectors have formed to pick the final 15.